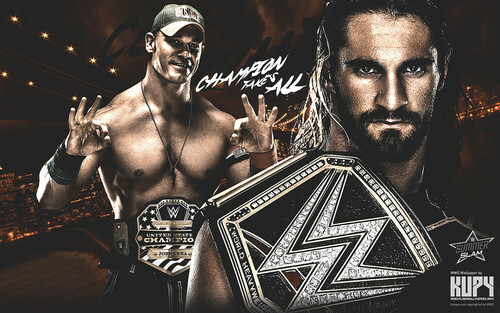 SummerSlam 2015 - John Cena vs Seth Rollins. . HD Wallpaper and background images in the WWE club tagged: photo john cena seth rollins summerslam.